Although Samsung just officially released its Galaxy S5 this month, there's a rumor going around that it could launch an even better version of its new flagship in June. New reports from Korean media suggest that this more expensive model would come with a better screen and a more powerful processor. The device, which is expected to be called the Galaxy S5 Prime, is said to come with a 2560 x 1440 resolution display and may run on Samsung's octa-core processor, according to a report from Asia Today first spotted by Sam Mobile. Essentially, this means the phone would feature a super-sharp screen and would use a processor with eight different components used for carrying out different functions. The benefit of having more cores is that a device would be able to multitask much easier since it has more cores to execute each task. Although these specifications sound impressive on paper, the advantages packing such high-end hardware into a computer the size of a smartphone aren't immediately clear. Research has shown that the human eye won't notice detail sharper than 1080p on a smartphone-sized screen, and most of the tasks you would use your smartphone for can be easily handled with processors containing two or four cores. Samsung has created a habit of releasing multiple versions of its flagship smartphones. When the Galaxy S4 launched last year, the company subsequently released a smaller version known as the Galaxy S4 Mini, a variant with an optical zoom camera lens called the Galaxy S4 Zoom, and a rugged version called the Galaxy S4 Active among other iterations. It wouldn't be surprising to see alternate versions of the Galaxy S5 hit the market, but we're skeptical about seeing a more premium version of the S5. 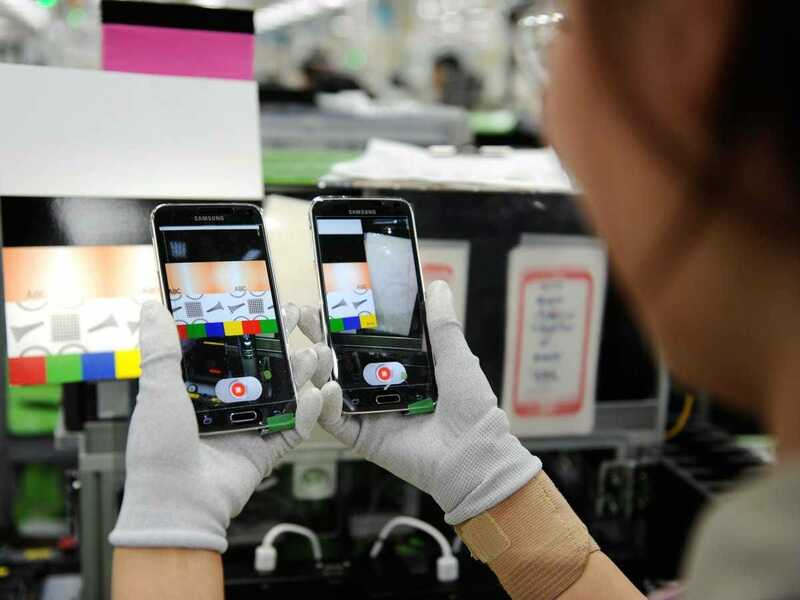 Asia Today cites industry sources, but the concept seems to be grounded on previous rumors that circulated before the Galaxy S5 was unveiled and were proven incorrect. Still, it's not the first time we've heard of the Galaxy S5 Prime. Before Samsung officially announced the Galaxy S5 in February, rumors suggested that the company would have two versions, one made of plastic and one made of metal called the Prime.